We all rely on the apparent accuracy and objectivity of maps, but often do not see the very process of mapping as political. Are the power and purpose of maps inherently political? Maps and Politics addresses this important question and seeks to emphasize that the apparent 'objectivity' of the map-­making and map-using process cannot be divorced from aspects of the politics of representation. Maps have played, and continue to play, a major role in both international and domestic politics. They show how visual geographical representations can be made to reflect and advance political agendas in powerful ways. The major developments in this field over the last century are responses both to cartographic progression and to a greater emphasis on graphic imagery in societies affected by politicization, democratization, and consumer and cultural shifts. Jeremy Black asks whether bias-free cartography is possible and demonstrates that maps are not straightforward visual texts, but contain political and politicizing subtexts that need to be read with care. 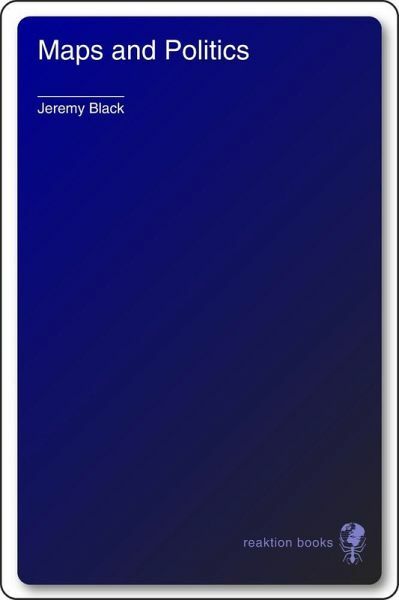 Jeremy Black is Professor of History at the University of Exeter, and the author or editor of over one hundred books including Why Wars Happen (Reaktion, 1998), Britain since the Seventies (Reaktion, 2004) and War since 1945 (Reaktion, 2004).